Sussex now looks set to miss out on the snowfalls set to hit a large part of the UK this weekend, but a Met Office warning has been issued for strong gusting winds on Sunday (December 10). The warning is for between 4am and 7pm on Sunday. The Met Office says: “A spell of strong winds is expected to move east across the far south of England and Wales on Sunday morning. “Some short term loss of power and other services is possible, as well as some delays for high-sided vehicles on exposed routes and bridges. 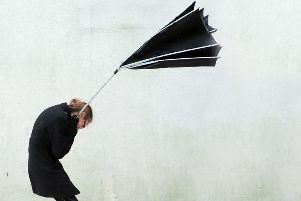 The Chief Forecaster’s assessment is: “A spell of strong winds is expected to move east across the far south of the UK. Heavy rain in the morning will also add to problems for drivers.